In the world of both big box and smaller retail garden centers, it is fairly commonplace to see a variety of undernourished and overwatered (and underwatered) plants. As a former wholesale greenhouse grower, I notice this in much more detail than the average garden center shopping patron. While offering robust healthy plants holds no guarantee that they will sell, it is a safe bet that unhealthy-looking, starved plants will end up as scrap to the compost pile. If I had to guess, I would say that at least 90% of the plants that leave the production area for the retail tables are never nourished with a fertilizer again unless they end up in the care of a somewhat knowledgeable buyer. 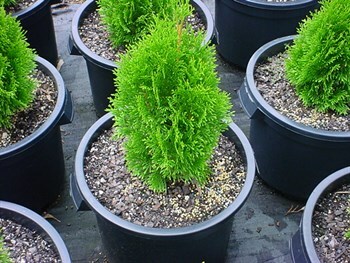 The average garden center caretaker at both large and small retailers alike understandably have a tendency to water plants according to the schedule that fits their daily routines and responsibilities. This kind of watering schedule is rarely conducive to healthy plant maintenance. Being in the Southeast United States where rain and humidity are very plentiful, this routine usually results in waterlogged plants; however, you can find extremely drought stressed plants in almost as many cases. Combine this with a period in which the plants are devoid of any nutrients and… “Voila!” what were once sellable plants, are now fine compost fodder! When potted plants are taken out of the production area and subjected to constant flushings with plain water, signs of nutrient deficiency can begin to show up in as early as a week. While controlling the watering habits of the retail staff is a difficult problem to overcome, the addition of a Controlled Release Fertilizer (CRF) such as Multicote™ can help to solve at least the nutrition side of the problem. This equates to longer shelf life on the retail bench! Riverview Flower Farm, a large vendor of annual & perennial flowering plants for the Home Depot chain of stores, uses an 8 month Multicote™ product specifically to help with their plants’ “staying power” at retail. Plants produced for sale during the busier months are planted with no Multicote™ as these are expected to move off of the shelf very rapidly. For the remainder of the year, the addition of Multicote™ CRF to the potting mix has helped greatly to reduce the amount of nursery returns and thus pays for itself. Riverview Flower Farm has been able to achieve this longer shelf life for their plants with the addition of a relatively low application rate, which acts as a small component of their overall nutrition program. The crop time of all the plants they grow is roughly 2-3 months. Although the rate is low, the additional months of feed from the 8 month Multicote™ is enough to keep the plants looking healthy for the duration of their stay on the retail bench. Many of the larger nurseries in the Southeast US (especially Florida) use a medium to long term CRF in their soil mix in addition to their liquid or water soluble fertilizer program. This gives a nice nutritional base while allowing the growers to use less of their other nutritional imputs. This also gives growers the flexibility to temporarily cut out the liquid or water soluble portion of their program during periods of rain or cloudy weather as adding more water during these times is not desired. By default, these growers also get the better shelf life at retail as a result of the extended CRF release. One larger grower in Florida even prefers for the CRF to last after it leaves retail because he has seen that this reduces the amount of store returns and bolsters his brand as a result of increased customer success with his plant material. I personally used to run into this problem often during my first growing position with a small greenhouse operation in Louisville, KY. This business also had its own retail Garden Center which was one of the higher class outfits in the area. I shook my head everyday as all of the plants would leave the greenhouse in perfect condition because I knew that within a week they would all become eyesores on the retail table. I finally convinced our garden center to start applying water soluble fertilizer, but instead of feeding each or every other day as I recommended, they fed once a week. This was not enough. Our greenhouse production area was using 100% water soluble NPK fertilizer at the time--CRF would have been invaluable as a part of this program and would have given abundantly to the visual appeal of the garden center. Let’s face it; plant care at the retail level will never be perfect. But we can at least give the plants a fighting chance to find a home. 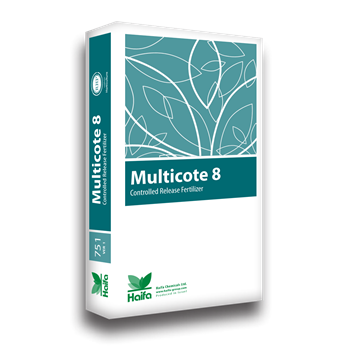 Add some Multicote™ to your nutrient program, increase your shelf life, increase your green!